Hi, beatunes sometimes shows me covers which absolutley have nothing to do with the currently played song. At the moment I listen to a Natalie Merchant song, and beatunes display a Marilyn Mansion image - I don't even have a single Marily Mansion song in my collection. Itunes shows the correct cover. Any ideas? apologies for the late reply—I was not at work last week. beaTunes attempts to use the artwork embedded in your files. If the available artwork is a little small or not available at all, it attempts to look up the artwork online. Apparently, something with the lookup goes wrong in your case. iTunes either displays what's embedded in your file or what it finds in its online database. I'd be interested in finding out how the lookup fails. Could you please reproduce the behavior and then send me your logs? You can do so via Help -> Upload Logs. I stoppe beatunes, cleaned the log directory, started beatunes, played the song, called the info pane, closed it, stoppe beatunes and zipped the logs. Thanks for the logs, Peter. For some reason unknown to me, the file contains two MusicBrainz IDs: One for the correct album and one for the Marilyn Manson album. beaTunes trusts that all IDs are correct and picks one at random. 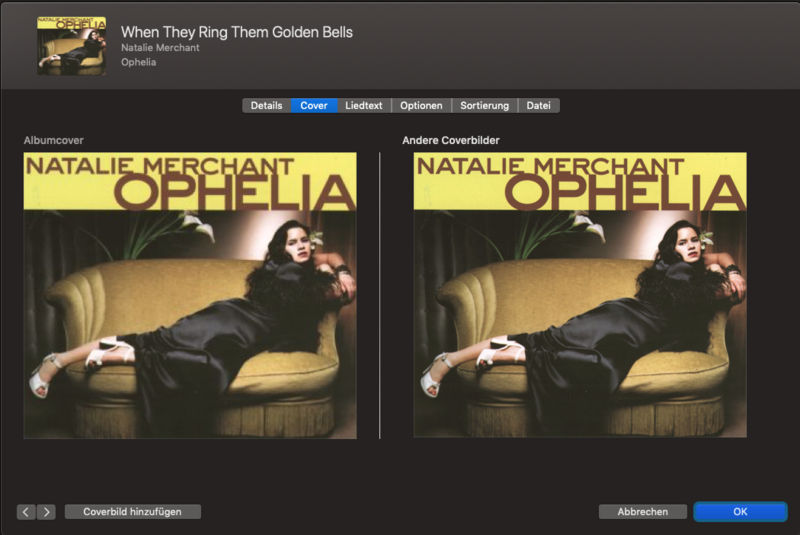 Especially as in iTunes all my album covers are correct. iTunes uses a completely different mechanism. And yes, it's merely cosmetic.